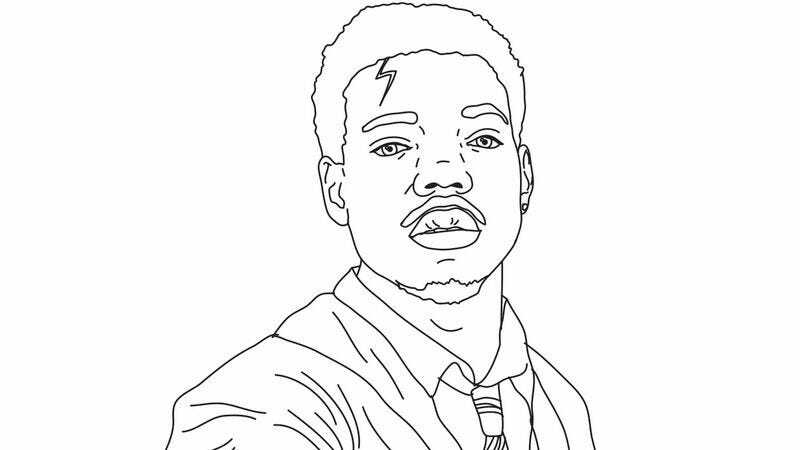 By now you’ve probably had a chance to listen to Chance The Rapper’s excellent new mixtape Coloring Book. (In case you hadn’t heard, Coloring Book is now the first ever streaming-only release to crack the Billboard 200.) Now, thanks to weird-rap-merch-makers The Interns, you can also color Coloring Book. The Interns are also responsible for making the illustrated book of inspirational DJ Khaled quotes. Their Coloring Book pages feature pictures of Future actually cracking backs as a chiropractor, and Chance doing some Harry Potter cosplay as well as literally demanding the water from Space Jam from the cartoon cast of Space Jam. The coloring book for Coloring Book is now available as a free download.